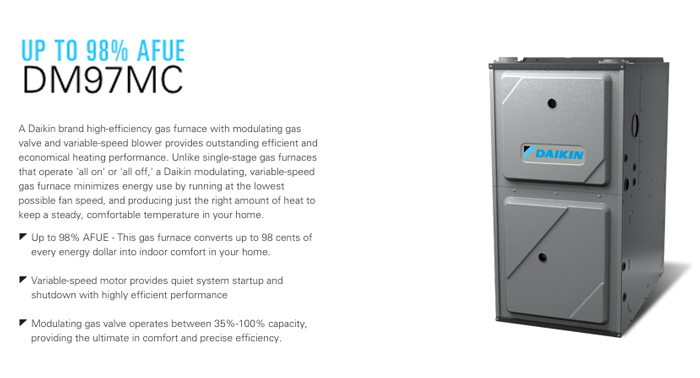 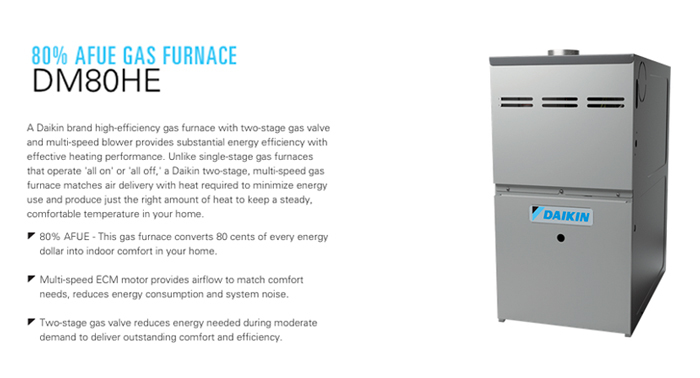 Every Daikin brand gas furnace is engineered with a unique heat exchanger constructed from tubular stainless steel to offer outstanding dependability and worry-free comfort. 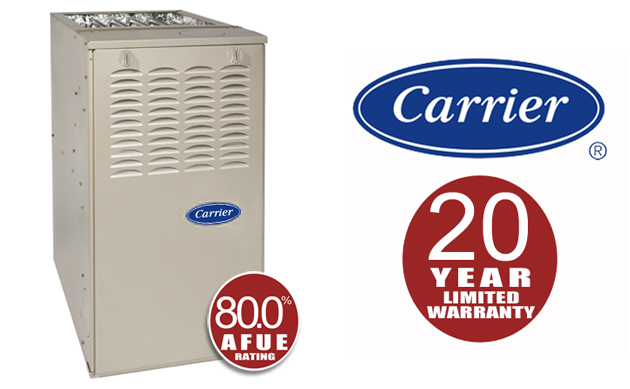 Daikin offers 12 years parts and labor warranties on equipment! 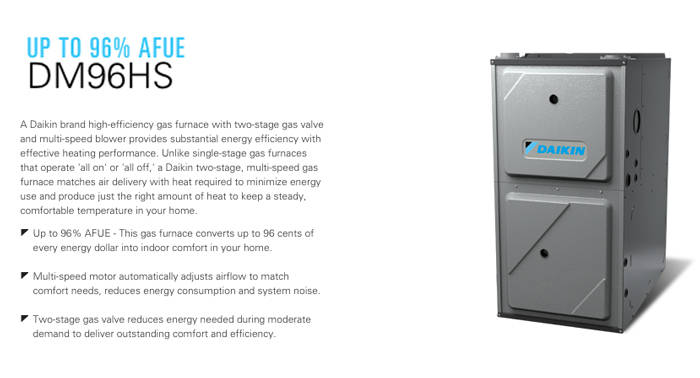 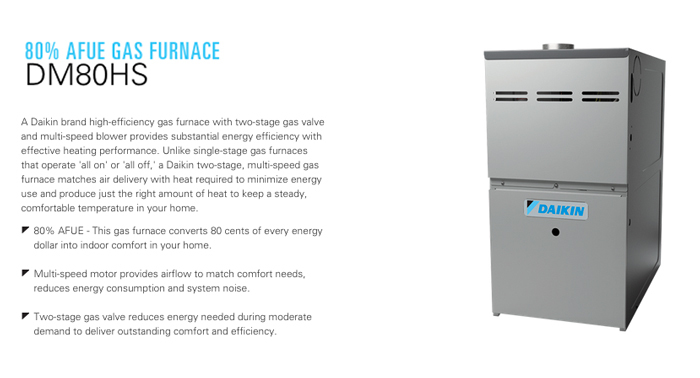 The Comfort 80 gas furnace features 80% Annualized Fuel Utilization Efficiency (AFUE) and because of its small size, it can fit in the tightest of installations. 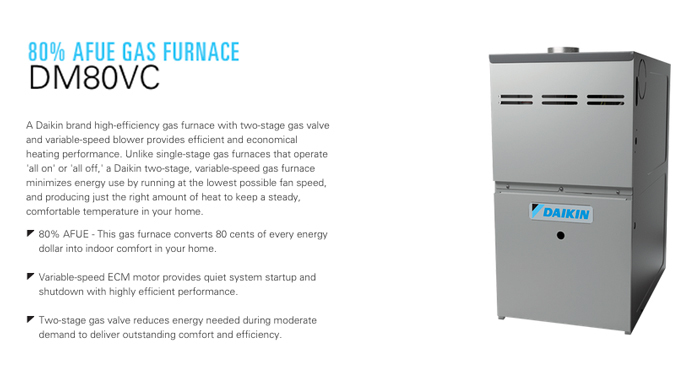 The multi-speed blower motor of this energy-efficient furnace can do more than just add to your comfort. 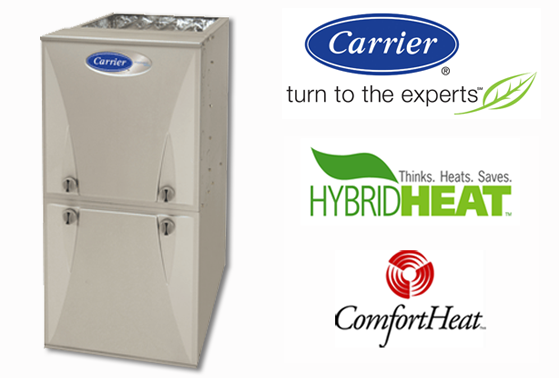 Paired with the right cooling system, it can actually boost SEER levels to help you save on energy costs all year round. 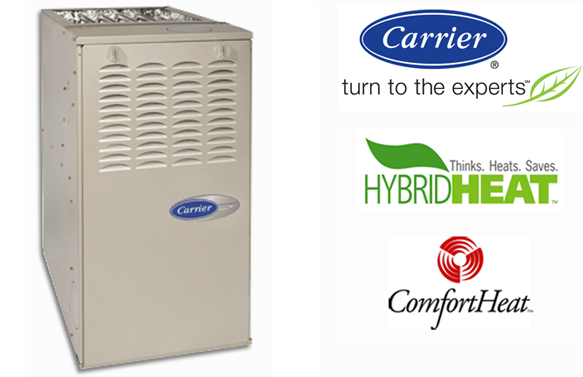 SmartEvap™ technology also aids dehumidification by periodically stopping the multi-speed fan while it's in "Constant ON" mode to give cooling condensation time to drain away deterring re-humidification by up to 10%. 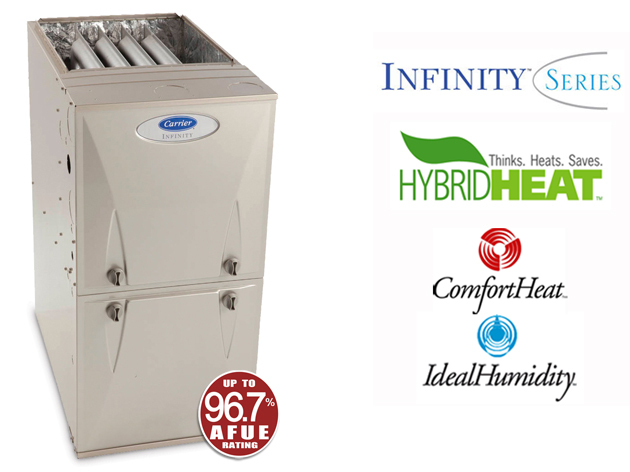 The Infinity® 96 with two-stage heating is at the heart of this system. 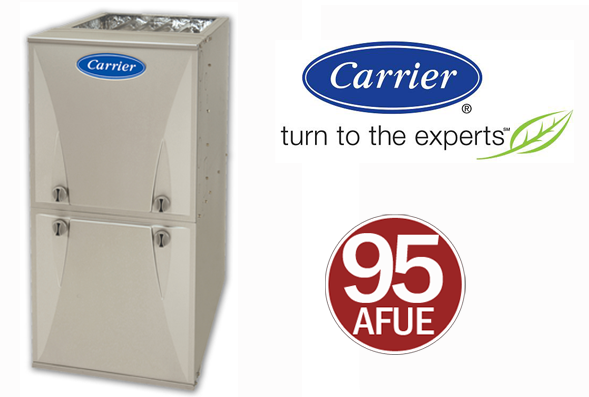 With annualized fuel utilization efficiency (AFUE) of up to 96.7%, you receive exceptional savings when compared to a single-stage furnace. 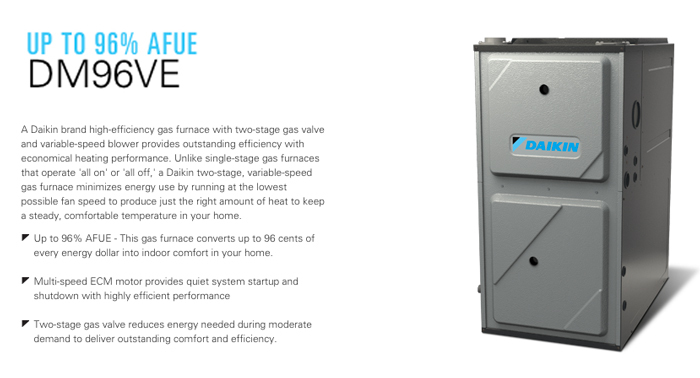 For full details on any warranty, please call our office at 616.245.1131 or click on the full product brochure link below.